I'm farming now for 4-6 weeks for Crit Damage Speed Arrows, crit chance/damage triangles.Every day I put all my Mod Energy in those Mods and the only speed arrow I got was a 3 dot one. I think I got one or two triangles with crit chance but no crit damage. What is this drop chance for those mods? 0.1% or what? Thats just not funny anymore! As much as I dislike the recent developments, this is probably just bad luck. Keep trying & use the mod store if youre this desperate on that particular piece. Rest assured, nobody cares for you. As for OP, please dont waste your energy on mods. Drop rates were badly nerfed in 2.0. Refresh and buy from the mod store. I started with the game last year in May or so... So I dont have that great amount of valid mods. Especially speed arrows, crit chance/damage triangles are lacking very much. I've always hated the store, cause I always get screwed. But if you actually look up the drop rates, it really makes you appreciate it when a mod comes up. Last week I was trying to get an offensive speed triangle for Revan, and when one with +5 speed popped up in the store, I figured might as well. I honest to God figured not a single boost would go to speed. I was pleasantly surprised when it went to +22!!! But even if it didn't, the odds of getting a triangle mod, with the right set bonus, the right primary, and speed secondary is so ridiculously low, that even at +5 it would have been worth it. I still farm mods though, you do get that occasional good one. And it seems you're just having really bad luck. But I wouldn't go all out on the mod farm. ALL the drop rates are frustrating. Not only on mods. On mods it's just even more frustrating. 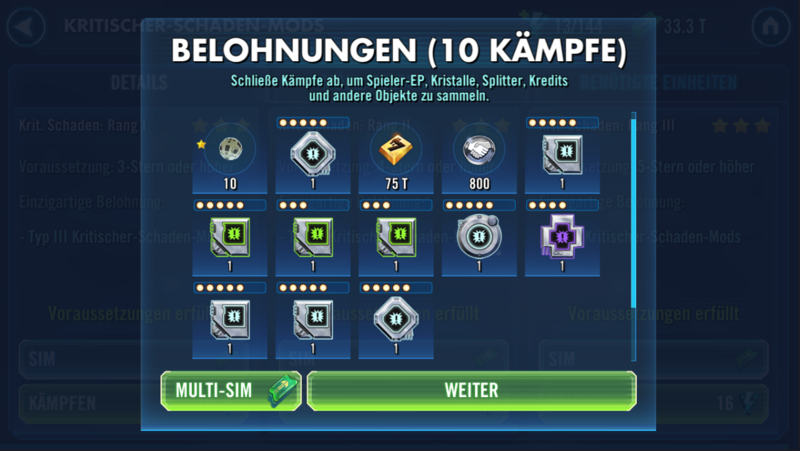 Developers can tell what they want, but a battle for getting 5* mods that gives you a 3* or 4* mod, for me, it's a BUG. Gold mods without speed are a nonsense, in a game where only speed count. We need more strategy and less randomness. You do not get what you need right now. It does not matter what it ist. it all just boils down to jumping into store and spending Money right away. Actually a pity that it is only about the people to pull the money out of the bag. Play and fun stay on the track.